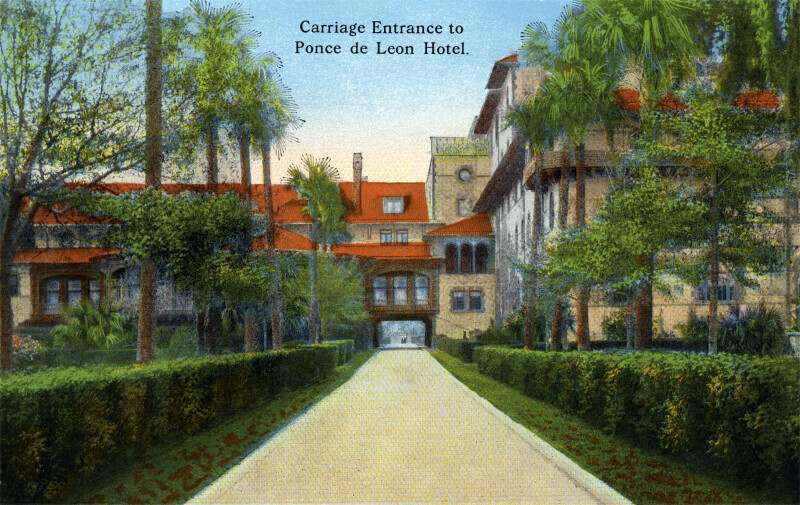 There is a wide, paved lane leading to the covered entrance of the Ponce de Leon Hotel. The lane is lined with trees and trimmed hedges. The hotel extends beyond the margins of the image.